Last year theatre director and actor M K Raina conducted a month-long theatre workshop with IFA support in Akingam village of Kashmir. The workshop participants were children from families that have traditionally performed Bhand Pather. Bhand Pather is a form of farcical theatre that is said to have entered Kashmir from Persia through the Muslim courts in the 14th century and then spread through the rest of north India. 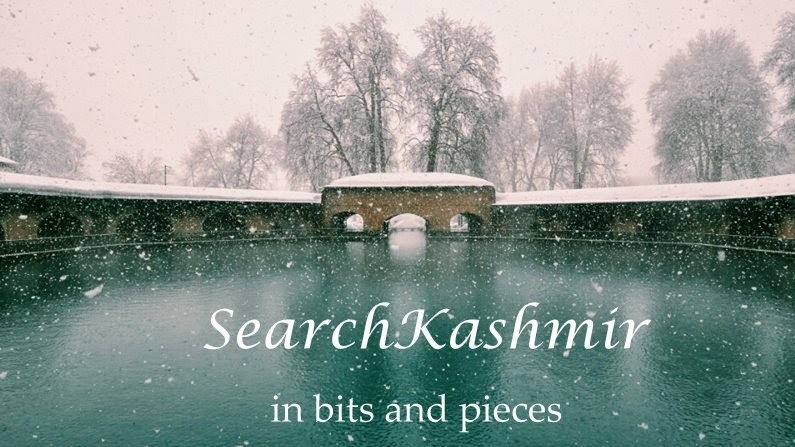 Kashmir’s Bhand Pather has been a vibrant tradition but the form has suffered over the last two decades of unrest in the state. Raina’s aim was to restore the self-confidence of the once-active performers of Akingam village as well as start a process of training children in this theatre. Raina tells us more about Bhand Pather, the experience of the workshop and his future plans. What does a typical Bhand Pather performance consist of? M K Raina: It is an open air form performed around Sufi shrines during the annual Urs of Sufi pirs. Thousands of people gather around the shrines during the Urs. They watch the performance and pay the Bhands - sometimes with cash but mostly in kind. The Bhands also perform around Hindu temples. They go into villages during harvest time and they could turn a village courtyard or an orchard into a performance space. They climb trees, they go into houses and peep at their audience from windows, they act entirely according to their whims and fancies. The performance starts with a wind instrument called swarnai – if you hear the sound of the swarnai, you know the performance is about to begin. The music is dominant and then there are the maskaras or jesters – there could be five or eight or or ten maskaras. They are the spirit of the performance. There is often the figure of a ruler from outside who is exploiting the natives; the jesters fool him and bring him to some kind of an understanding. He will normally speak Persian or gibberish English or Punjabi. They will speak in Kashmiri. He cannot understand them and they cannot understand him. He has a whip which creates a sound of a pistol when he cracks it and that’s a very vivid element. Sometimes the stories are mythological; sometimes you find traces of the Ramayana. Each performer has a special musical score called mukam. 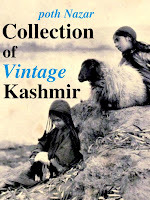 Each mukam has its own name and comes from the classical Sufiana qalaam tradition of Kashmir. The Bhands sometimes sing Sufiana verses too. They mix these with theatre songs and peasant songs; it’s a distinct repertoire of music. They play two percussion instruments - the dhol and the nagara - along with the swarnai and thalej or cymbals. Bhand Pather has been suppressed by militants over the last two decades. What were the greatest challenges you faced conducting the workshop in Akingam village? MKR: The performers of Akingam lost their mentor and teacher Guru Mohammed Subhan, a SNA awardee. He became a victim. The militants didn’t want Subhan to perform Bhand Pather, they considered it unIslamic. They put him under house arrest for nine months. Eventually he died from extreme humiliation and shock. His death was a big blow to the performers and they lost their self-confidence. Yet I chose Akingam village because one of the oldest Bhand theatre companies in the Kashmir valley – the Kashmir Bhagat Theatre – is based here. Also Akingam is surrounded by many heritage and sacred sites and there are villages around which also have groups performing Bhand Pather. A village called Muhurpur next to Akingam used to have Kashmiri Pandits Bhand performers but they left the village in 1990. The people of Akingam are deeply Sufi and philosophical in outlook – you start chatting with them and before you know it you are involved in an intellectual discussion on the meaning of existence. The villagers took us in. The whole village was galvanised into action. The women started cooking for us. The young participants of the workshop staged a performance at the end of the four weeks. A huge crowd turned up from Akingam and from the surrounding villages. I am certain that this was the first time in 19 years that that such a large crowd has gathered together for a cultural event in Kashmir. Some of our friends from Srinagar who had come for the performance could not believe that such a gathering was possible without government support and without any security or police. It is also true that though we met with some resistance along the way it was minor. The militants do not oppose the Bhand Pather today as much as they used to. You have said: “Kashmiri children have lost their power of imagination and self-expression …perhaps it has to do with the collapse of the education system and two decades of violence.” Can you tell us how children and young people responded to the workshop and what you did to draw them out? MKR: Because of the threat of violence, children have to be indoors by 3 pm. They suffer from a lack of exposure. Nobody asks them to think for themselves, to imagine. All adults tell them is – shut up, keep quiet, don’t go out because this or that will happen. A people who have traditionally lived their lives in forests and among nature have had to confine themselves to their houses. I went to the houses of Bhand performers in three or four villages and told them – look you have to send your kids for this workshop. They sent them gladly. These elders themselves visited the workshop and performed too – we had a week which was like a little folk festival. We got a flavour of Bhand from other regions of Kashmir. When working with the boys, my collaborator Rakesh and I woke up to the fact that their bodies were not in the right proportion. There was a stiffness, a distortion, a lack of grace. I started asking myself whether these problems were due to the stresses and tensions that their mothers had gone through before the children were born or if they were a result of the atmosphere they had grown up in. Initially, it was difficult for the boys to understand that meaningful images and ideas can be communicated just by making an instrument out of the body, like any musical instrument. But eventually they got it. Performance is in their blood after all. You will soon embark on a two-year IFA-supported project wherein young performers will be trained in different aspects of the form by Ustads. What are the ways in which you see these younger performers making Bhand Pather their own? MKR: I am hoping to set up a little school in Akingam. My worry has been that the elders will die. Two are very old and they are the best. I’ve told them – I will come to the village when you die and shower rose petals on your grave only if you’ve taught children. Otherwise, I’ll only say you were a good man, but I won’t come with rose petals! The thing is that these Ustads have a methodology for teaching what they know, but they are very tough and they tend to get impatient. I have to teach them to be patient with young people. But they’ve seen me working so I think they understand the importance of making a child relax. One of my conditions is also that the children will have to continue with their formal schooling. They will have to understand the basics of the form first. Later they can experiment. I don’t necessarily want them to only perform the traditional repertoire. My dream is to do King Lear with them. But right now the focus is on setting up this school. Akingam has been designated a heritage tourist village. The government is making a campus where a small building has already come up which has been given to us to use as a rehearsal and teaching space. The idea behind the heritage tourist village is that since Akingam is on the way to Pehelgam and Amarnath, maybe tourists will stop here. And if they do we can perform for them. I watched my last paether in 1988. The nineties was the decade of our disappearances, and the bhands and their plays disappeared as well. On January 26, 1990, Subhan Bhagat and his fellow artists were in New Delhi to perform at the Indian Republic Day ceremony. Eight days earlier, CRPF had massacred more than 50 demonstrators in Srinagar. When Bhagat returned home, visitors with Kalashnikovs arrived. Bhagat promised not to perform again in New Delhi. After his death in the mid-nineties, the mantle fell upon his son, Hasan Bhagat. The intense violence of the nineties left no space for folk theatre and Hasan became a driver. But he had been thinking about contemporary Kashmir. "Maybe it will take some time to stage plays about today, but they are being already written," Hasan told me a few years ago. - Basharat Peer, author of recently published first-of-its-kind novel, 'Curfewed Night, wrote in a Times of India article (4 Jan 2009), titled 'Living to tell the tale of loss'. Not a fan of TOI, but this fine article really surprised me.